Companies are eligible for $2,000-$5,000 off any New lease or purchase. USAA Programs are also available for qualified customers. Please note that the employee is entitled to one control number per calendar year which is valid until one year from issue date. To be eligible for the Mercedes-Benz Fleet Employee Program, vehicles must be new and unused. Fleet incentives cannot be used in conjunction with Dealer Employee Purchase Program (DEPP), Mercedes-Benz Vehicle Plan (MVP), Master Lease Program (MLP), Diplomat, European Delivery, Customer Loan Plan (CLP), Special Demos or non-U.S specification vehicles. *The Mercedes-Benz fleet incentives are available for qualified customers only. Many local companies and employees are qualified for the Mercedes-Benz Corporate Fleet Program. 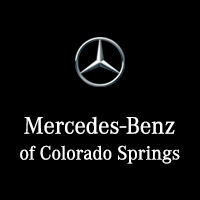 Scan our list and then call the Fleet Specialists at Mercedes-Benz of Colorado Springs at (800) 906-1591.